In 2008, Nina Garcia published a book called The One Hundred | A Guide to the Pieces Every Stylish Woman Must Own and the list is a classic. #62 is Pajamas, and I couldn’t agree more. I truly believe that you should represent your best self whether it is at work or lounging around your home. Late last year we launched our first pajama set in banana leaves because I felt there just really aren’t enough classic pajama sets that aren’t just your typical solids. 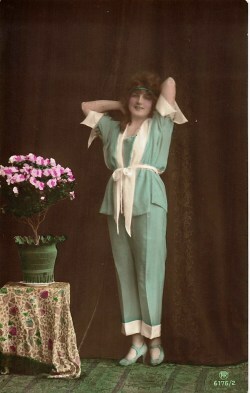 When I wear our pajamas, I feel like I’m instantly a character in a Slim Aaron’s photograph or 1930’s drama. Keep scrolling for the first shots of our new horse pajamas and images sure to inspire your need for new nightwear. We are loving our new Horse and Tassel pajamas with contrast piping. You can pick up a pair in our shop. 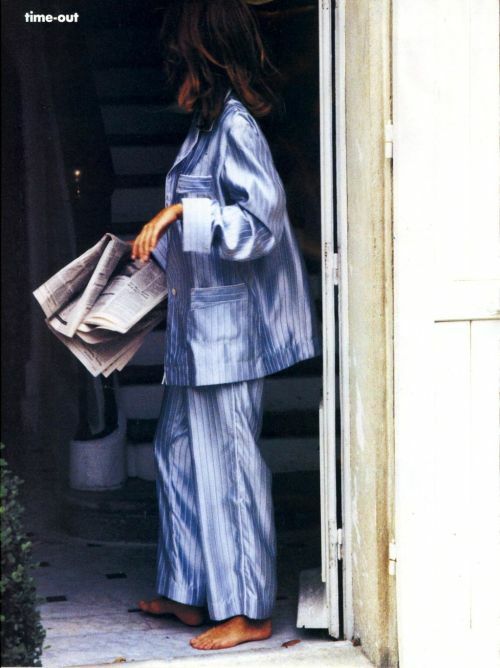 If your pajamas are on point your hair can be a little messy and you will still look put together. I love this classic look of pale pink against the lavender couch. 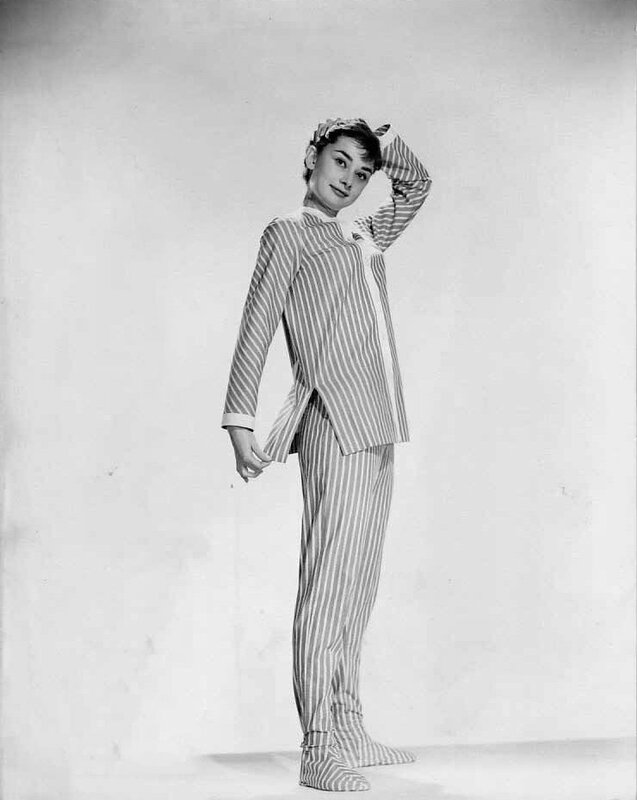 Audrey Hepburn is classic in everything she wears and these classic stripes don’t miss. My favorite Sunday’s are when I can read the newspaper and drink a dark cup of coffee. You could pretty much wear this set for an entire Sunday and still feel you accomplished so much.